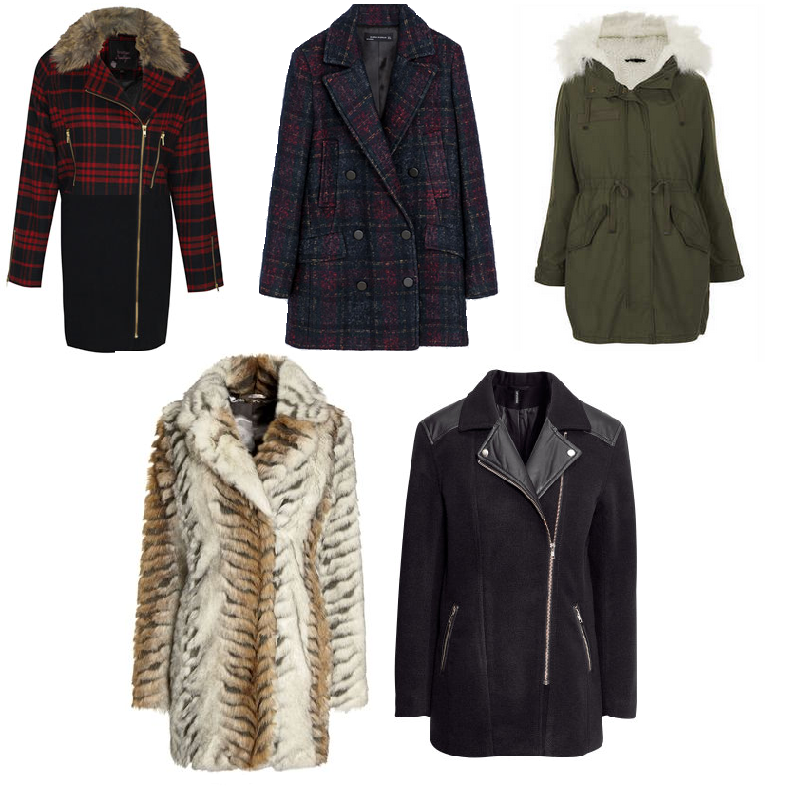 WISHLIST || You can never have too many coats ..
Hello everyone! So I managed to get almost everything but a coat or jacket on my 'coat and jacket shopping day' on Sunday. I had set myself a budget and definitely overestimated how much I could get from it. It probably didn't help that I spent £25 in Primark on socks, tights and Impulse body sprays - my money just evaporates in that shop! I tried on this coat from Zara and fell in love with it. I decided to 'think about it' and I've done nothing else ever since. It's such a lovely fit and the print is gorgeous, I need it! This picture of the Boohoo coat doesn't do it any justice, the catwalk video on the website shows the fit better and it's such a beautiful coat. I love the mix of tartan, black and fur together. I'm pretty sure my wardrobe will be over ninety per cent tartan by the end of the month, oh well! What's your favourite style of coat? Which one of these would you pick? 14 comments on " WISHLIST || You can never have too many coats .. "
The checked Zara one is gorgeous! I'm loving boyfriend style coats right now! i love that Zara coat. Gonna try it on at the weekend! Oh my god I am absolutely in love with the coat from Zara! Think I'll be popping in there on my next shopping trip. You definitely need to get it, it's gorgeous. Love the topshop and h&m coats! I really want a nice new coat for the winter! Love these choices :) I want a khaki one. Il take all of them please :) do you use polyvore to make the wishlist photo? Maisy,did u buy Zara coat finally?